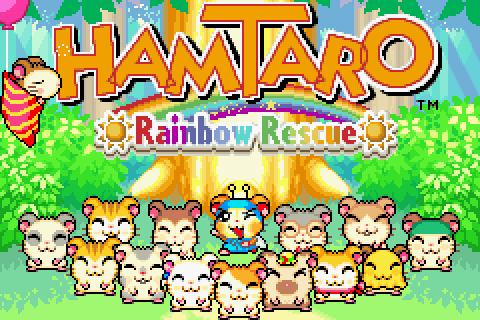 Original Thread: Let's Rainbow - Hamtaro: Rainbow Rescue! 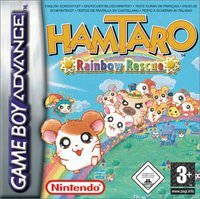 Released in October 2004 on the Game Boy Advance, Rainbow Rescue bares little resemblance to its predecessors Ham-Hams Unite and Ham-Ham Heartbreak (the latter of which I LPd a couple of years ago). 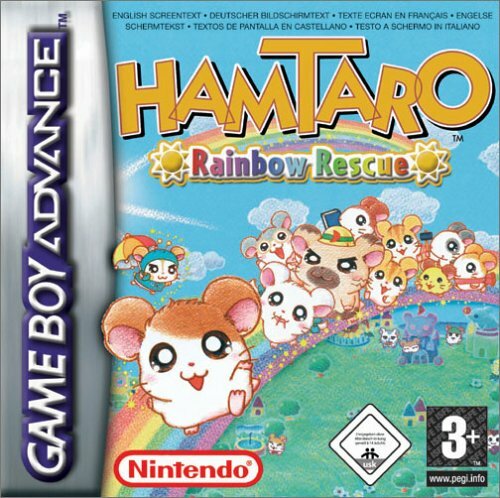 Knowledge of these earlier games is absolutely not required, as Rainbow Rescue features a standalone plot. This game was the first in the series to be produced by AlphaDream, a company best known for creating the Mario & Luigi series on GBA, DS and 3DS. Were going with screenshots for the most part, with uncommentated videos added where appropriate. I would doubt that many people out there have played this game, but the amount that came out of the woodwork for the Heartbreak thread surprised me; just make sure to tag spoilers if youre discussing them. Fair warning: This LP may be fairly .gif heavy. Theres a lot of small animations that deserve to be shown off. Update 01: No longer looks like a word. Update 02: A tutorial on railroading. Update 03: Rub Eyes to Reduce Sneeze Meter. Update 04: Can love bloom in the sunflower field? Update 05: Elementary, my dear Watson! Update 06: Sports, Science and Searching. Update 08: Slipping back to the SNES. Update 09: Games and grudge matches. Update 11: A seashore study on safety. Update 12: Hams gone wild. Update 14: Punishing Puntaros and Rainbow Rescuing. Update 15: Seedy characters and mixed nuts. Update 16: But is it art? Update 17: Practicing for the Ham-Ham Games. Update 18: Helping out the little guys. Update 19: The greatest show in the sky.